ABS-CBN made it official Sunday, formally announcing the return of Cathy Yang to ANC, where she will be hosting Market Edge with Cathy Yang and the long-running Business Nightly beginning September 1. "I feel extremely privileged to be rejoining my home studio, the Kapamilya network after fifteen years covering global business from two of the world's biggest financial centers, Tokyo and Hong Kong," Yang said in a press statement following the announcement. "It is high time to be back in the Philippines, where economic growth has taken hold," she continued. "I am honored to stand at the forefront now of keeping tabs of where that momentum is headed, for our countrymen here and overseas, as well as to the wider, global financial community." ABS-CBN Integrated News Head Ging Reyes, who worked closely with Yang when she covered business news for The World Tonight in the '90s, said they're "excited at her homecoming." "Cathy would be a great addition to our roster of top caliber journalists and her international experience would give ANC an edge in its coverage of business news," she said. The ABS-CBN News Channel is once again beefing up its on-air team with the addition of original Kapamilya newser Cathy Yang. Yang, a veteran business reporter with over two decades of journalistic experience both here and abroad, has agreed to rejoin ABS-CBN News -- where she is expected to play a major role on ANC, ABS-CBN's cable news channel. Yang began her career as a business reporter for ABS-CBN, best remembered for her stint on The World Tonight and as co-host of the short-lived business program Usapang Business with Ces Oreña-Drilon. 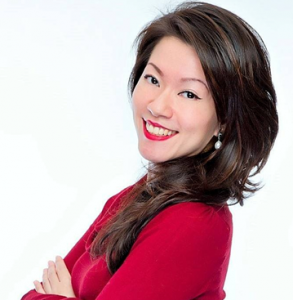 She left the network in 2000 to join Bloomberg Television Asia-Pacific as anchor and reporter based in Tokyo, and then years later in Hong Kong. From 2010-2013, Yang served as a news anchor for Reuters TV, followed by an almost two-year reportorial stint on CCTV News. Yang is a three-time Asian TV awardee for Best News Presenter category and the youngest to ever win the prestigious Excellence in Media Award by De La Salle University. She was also honored as the “most notable woman achiever” in the field of media by the Filipino-Chinese Federation of Business and Professional Women of the Philippines in 2008.